In an era that produced some of the most vicious female sociopaths in American history, Jane Toppan would become the most notorious of them all. Harold Schechter starts off his book discussing Aileen Wuornos who in 1989 killed 7 men, she claimed self-defense, prosecutors saw it differently. This led to Wuornos being given the distinction “America’s First Female Serial Killer”, which as Schechter goes on to show, is completely wrong. The main subject of this book is Jane Toppan, before we get to her we are introduced to Lydia Struck who after her husband and 6 children died of “natural causes” aka arsenic poisoning, married a farmer in Stratford CT named Dennis Hurlburt, after he died of “cholera morbus” aka arsenic poisoning, she married Horatio N. Sherman who also died. This time the doctor recognized the symptoms of arsenic poisoning and became suspicious. Then we travel to Boston and meet Sarah Jane Robinson a skilled seamstress who had some nursing experience, a lot of her patients died, her landlord, her husband, 3 of her 8 children, well you know how medicine was at that time, she says with a roll of her eyes. 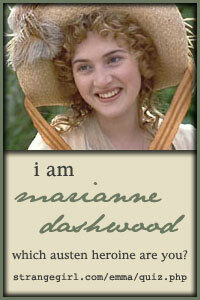 She had amazing accurate premonitions, usually involving someone dying. She was arrested in August 1886 for the murder of her son and eventually convicted and sentenced to hang. These two accounts set the stage for Jane Toppan’s life story. Jane Toppan was born Honora Kelley, how she came to be Jane Toppan is a factor in why she began to murder, the full number of her victims may never be known, her reasons are classic serial killer, killing gave her a high, a sexual thrill. All of this is covered in this book, “Harold Schechter is a true crime writer who specializes in serial killers.” Therefore he knows a lot about them and it shows. This is a fascinating story told wonderfully by Mr. Schechter. A friend, when recommending the book to me said: “My least favorite of all the books I’ve read of this author but still good!” I haven’t read any others by him, it looks like my reading experience is about to improve since I have more of his books on my list. Everything is covered here, Jane Toppan’s childhood, as much as is known of it, including some speculation on how she was mistreated by her father, her treatment by her adoptive family resulting in much resentment on her part. Her efforts to become a nurse, how she manipulated people around her. The suspicious deaths at the hospitals where she worked, the private nursing deaths and the deaths that were her final undoing. A fantastic tale that proves the truth of the saying, “truth is stranger than fiction”. I highly recommend this book. 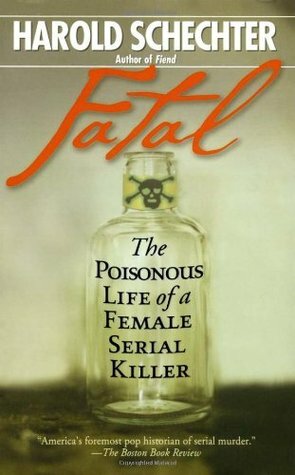 Posted by Belleza on March 5, 2014 in 2014, Historical True Crime, History, Non-Fiction, True Crime and tagged eBooks, Female Serial Killer, Harold Schechter, Library Book, Poison, Really liked it ♥♡♥, Recommended to read, Serial Killers.